Catsparella: Calling All Kitties! 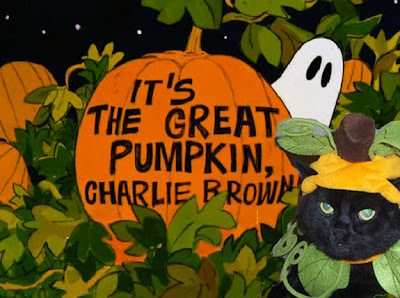 Submit Your Costume Pics for Charlie's Big Halloween Round-Up! Calling All Kitties! Submit Your Costume Pics for Charlie's Big Halloween Round-Up! Is your cat dressing up for Halloween this year? Email their costume pics to catsparella@gmail.com to be featured in Charlie's big Halloween round-up post! You have until Sunday, 10/30 at midnight EST to submit! We'll send ours (they might be old ones since we have successfully prevented our mom from putting costumes on us this year...so far!! Yay!! I can't wait to see..MOL "so far" being the operative word!! We will send our last years pictures, because this year Mom waited to long to get costumes and when she finally went they were all out!! Yippee for us!! Hehehehehehehehe! !